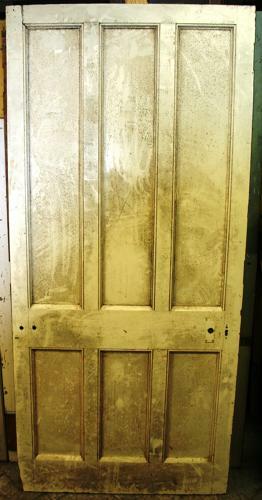 This is a solid, morticed and tenoned Arts & Crafts pine door, reclaimed from an Arts & Crafts property and suitable for internal or external use. The door requires stripping back to bare wood and made ready for finishing. We could also glaze the top panels. Please contact us for a quote.